Not all indulgent foods feel comforting as well, but this one does. The key is simply to elevate and saturate familiar flavors. Anyone opposed to cream cheese, lemon zest, graham crackers, and vanilla? Me neither. As a child, however, the idea of a thick cake made of cheese that was supposed to be a dessert made me revolt. Oh, little Janna. Inexperienced, assuming, little Janna. How much I have to teach you. Some of you may remember my 30th Year Resolutions included a determination to make my first cheesecake. My mother used to make them professionally for a quaint restaurant on the Outer Banks called The Colington Cafe. My brother, Tim, is known in my family for making very rich cheesecakes, usually involving a lot of chocolate on the top. My grandfather actually founded The Cheesecake Factory. (There's a chance that last statement might not be true; it can be difficult to keep track of one's famous grandparents.) 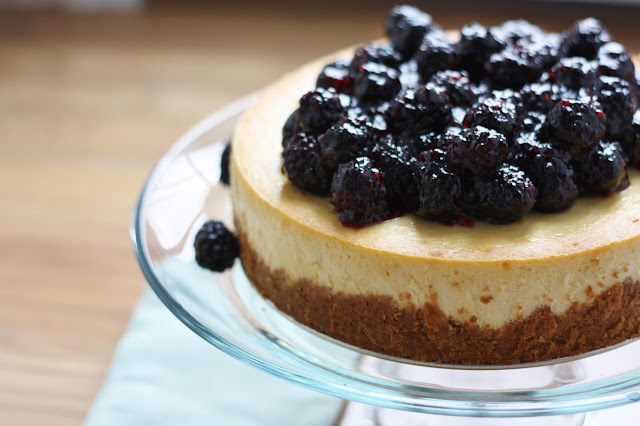 So, I thought maybe it's in my blood to make great cheesecakes. Well, far be it from me to shy away from my destiny. Actually, the cheesecake did come out amazingly well without so much as a single crack! Okay, one single crack, but it was only as wide as a teeny (bundle of) string and only as long a single piece of (long-grain) rice. It really was tiny, but we have a full-disclosure policy at Eats and Beats, so there you have it: not perfect, but seriously good. Anyway, no doubt one of the reasons it was such a success is that the recipe comes from Ms. Ina Garten, the great enabler of novices. Love you, Ina! 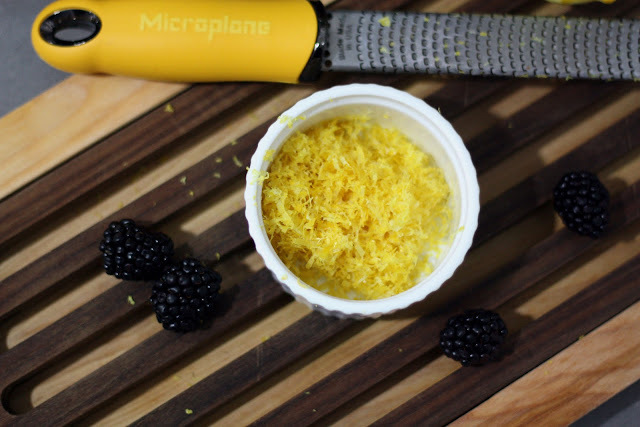 And here you have it with just one teensy alteration from me: the substitution of red raspberries for blackberries. The red raspberries are a classic choice and for a very good reason. I just wanted the deep color of the blackberries. Use whichever you'd like! 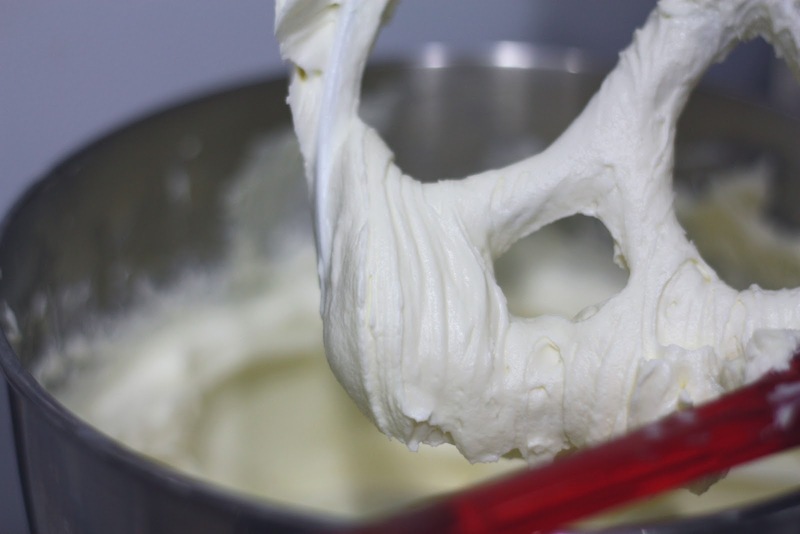 To make the filling, cream the cream cheese and sugar in the bowl of an electric mixer fitted with a paddle attachment on medium-high speed until light and fluffy, about 5 minutes. Reduce the speed of the mixer to medium and add the eggs and egg yolks, 2 at a time, mixing well. Scrape down the bowl and beater, as necessary. 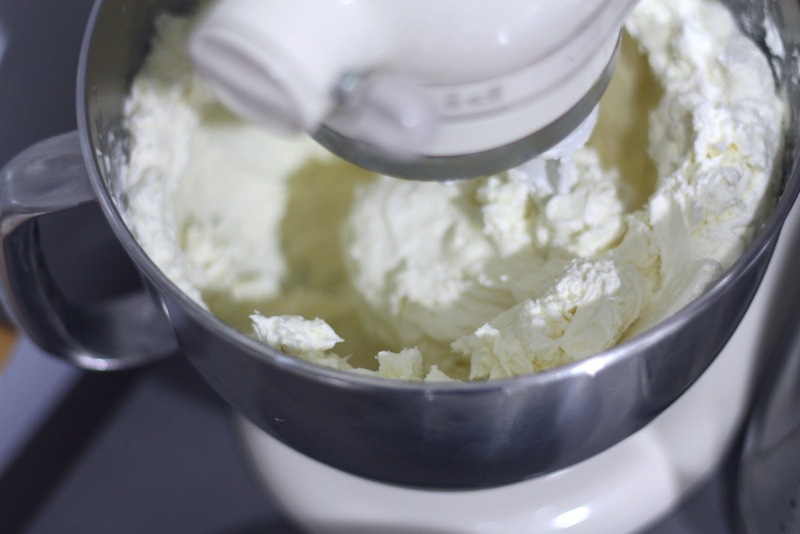 With the mixer on low, add the sour cream, lemon zest, and vanilla. 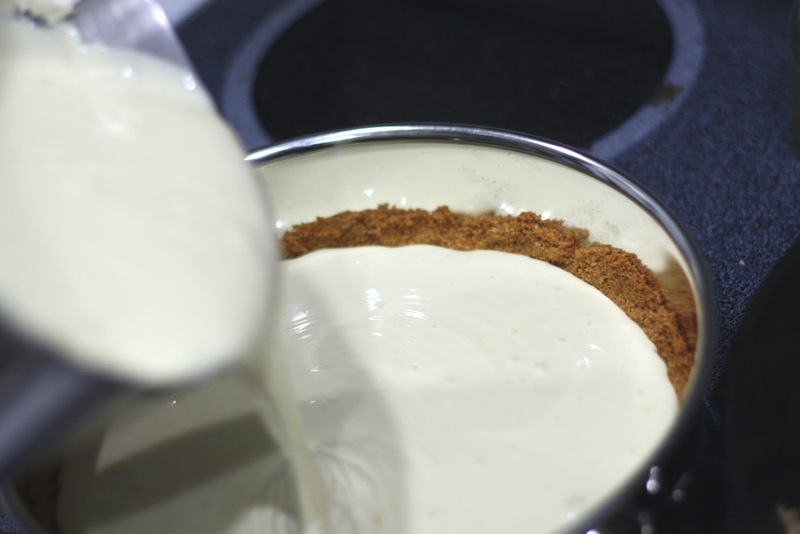 Mix thoroughly and pour into the cooled crust. Bake for 15 minutes. Turn the oven temperature down to 225 degrees F and bake for another 1 hour and 15 minutes. Turn the oven off and open the door wide. The cake will not be completely set in the center. Allow the cake to sit in the oven with the door open for 30 minutes. Take the cake out of the oven and allow it to sit at room temperature for another 2 to 3 hours, until completely cooled. Wrap and refrigerate overnight. Remove the cake from the springform pan by carefully running a hot knife around the outside of the cake. Leave the cake on the bottom of the springform pan for serving. To make the topping, melt the jelly in a small pan over low heat. In a bowl, toss the blackberries and the warm jelly gently until well mixed. Arrange the berries on top of the cake. Refrigerate until ready to serve. Serve as the final course of the fancy dinner party menu. I'm glad you're back to posting Janna. Congrats to you and Shawnn on your cute little one. Hope all is well! Thanks, Julie! It's really nice to be blogging again. Hope to see you and the fam soon! Thanks, Becca! Come over for a slice! It looks irresistible! I'd love a slice or two. If you're ever in the DC area I'll make you your very own. :) Thanks for stopping by!